The present study examined the effects of interviewer support on the memory and suggestibility of children (N = 71), all of whom were involved in child maltreatment investigations. This was accomplished by questioning 3- to 12-year olds (66% African American) about a game played individually with an experimenter at the end of the maltreatment investigation, so that the results did not affect any evaluations or legal proceedings. After the game, the children were interviewed in a warm and engaging high support manner or in a relatively formal and withdrawn low support fashion--the latter, likely considered by some as “neutral” in child forensic interviews. Typical age effects emerged overall; for example, with the preschool (compared to school-aged) children providing fewer correct units of information in free recall and making more errors to specific and misleading questions. However, findings also varied in relation to interviewer support and type of question. To specific questions, older (but not younger) children in the low (compared to high) interviewer support condition made more omission errors, possibly due to the interviewer’s low support resulting in a “no bias” for older children in answering these questions. To misleading questions, younger (but not older) children in the high (compared to low) support condition made significantly more commission errors. The elevated commission error rate in the high support group appeared to be driven by a small number of 3- and 4-year-olds who had a “yes-bias” when answering misleading questions. Implications for children’s accuracy in maltreatment investigations and for children’s psychological and physical security are discussed. There is little debate in the literature about this specific issue: As a general rule, forensic interviews of children should be conducted in a supportive manner (Lamb et al. 2007; Saywitz et al. 2018). Indeed, these days, one can hardly imagine professional guidelines recommending that interviewers not be supportive, particularly when children are being asked to discuss some of the most difficult experiences in their young lives. Supportive interviews are believed to promote children’s psychological security, facilitate disclosures of abuse, and promote the accuracy of children’s memory reports. In fact, there is considerable agreement that not being supportive of children during forensic interviews can be counterproductive (Almerigogna et al. 2007; Davis and Bottoms 2002). Yet, there has also been concern that under certain conditions, some types of support can also be problematic (Moston and Engelberg 1992). Specifically, it has been argued that interviewer support of suggestive utterances can have detrimental effects on children’s reporting and lead to greater acquiescence, which in turn could result in increased suggestibility, especially in young children (Billings et al. 2007; Bruck et al. 1995; Garven et al. 1998). Concerns about balancing these needs have led many investigators to examine the effects of interviewer support on children’s eyewitness memory performance (Carter et al. 1996; Goodman et al. 1991; Saywitz et al. 2019). The current study was designed to address this issue in a unique way by examining the impact of interviewer demeanor on the memory and suggestibility of children, who were questioned at the completion of a maltreatment investigation. This was accomplished by questioning children in either a warm and engaging manner, or a relatively formal and withdrawn fashion (often in the field considered a “neutral” manner) about a game played previously with an experimenter. That the questioning was conducted during an actual child abuse investigation after evaluations had been completed adds considerably to the ecological validity of the research. Also because many of the children had experienced deprivations in their home life, their need for emotional support was arguably particularly strong. Thus, positive or adverse effects of interviewer support might be pronounced. Before describing the current study in detail, we review the extant literature concerning the effects of interviewer support on children’s memory, suggestibility, and general interview performance. A supportive interviewing environment decreases children’s anxiety, the latter of which can negatively impact memory (Goodman et al. 1998). Anxious children have fewer cognitive resources available to handle questioning (Case 1988; Eysenck and Calvo 1992; Fischer 1980). This depletion of resources would be an obvious concern for young children thrust into a legal investigation that may involve frequent, prolonged, and sometimes intensive questioning by a variety of entities, including family members, doctors, professional interviewers, police, attorneys, and judges. Emotional support should thus have cognitive benefits on children’s interview performance. The positive effects of interviewer support should extend beyond cognitive factors to socio-emotional benefits. By limiting feelings of intimidation, coercion, and/or pressure to acquiesce to suggestion, resistance to misinformation may be increased (Goodman et al. 1991). Davis and Bottoms (2002) articulated a theory of resistance efficacy, defined as children’s perceived self-efficacy for resisting interviewers’ suggestions. According to this theory, supportive interviewers empower children to be able to contradict them when inaccurate assertions are offered, thus making the children less likely to go along with misleading suggestions. Specifically, these investigators argued that resistance efficacy mediates the relation between interviewer support and resistance to misinformation. In most studies examining interviewing style, interviewer support has been manipulated by modifying interviewer demeanor (Bottoms et al. 2007; Rush et al. 2014). Interviewers assigned to the high support condition are generally instructed to speak in warm tones, make considerable eye contact, smile often, and maintain a body posture that is open and relaxed. In contrast, interviewers assigned to the low support condition are told to use monotonous tones, establish limited rapport, and not to convey warmth (e.g., Carter et al. 1996; Davis and Bottoms 2002). Other investigators have examined more supportive versus less supportive conditions by having the interviews conducted by the children’s parents versus strangers (Goodman et al. 1995), or having peers present during the interview (Greenstock and Pipe 1996; Moston and Engelberg 1992). Still other researchers have reviewed recordings of interviews and scored them post hoc for interviewer supportiveness to compare children’s performance when questioned in what was judged to be a more versus less supportive manner (Goodman et al. 1995; Karmi-Visel et al. in press). In a meta-analysis of 15 published studies in this area, increased interviewer support was generally found to have a positive effect on children’s interview performance, but the effects of support appeared to vary considerably depending on the types of questions asked (Saywitz et al. 2019). For example, in most laboratory experiments, highly supportive conditions did not appear to affect children’s performance on free-recall questions (Carter et al. 1996; Davis and Bottoms 2002; Quas et al. 2004; Quas and Lench 2007). In contrast, when examining performance on specific questions, highly supportive conditions often resulted in lower error rates (Peter-Hagene et al. 2014; Quas et al. 2004, 2005; Quas and Lench 2007). However, Saywitz and colleagues (Saywitz et al. 2019) also cautioned that their conclusions with regard to performance on specific questions were obscured by the lack of clarity in the reporting of statistics across studies. Also the authors noted that many studies did not differentiate between omission and commission errors in reporting errors on these types of questions. The most robust finding in this meta-analysis was that supportive interviewing generally resulted in decreased errors on misleading questions (Almerigogna et al. 2008; Carter et al. 1996; Davis and Bottoms 2002; Quas et al. 2004; Quas and Lench 2007). That said, some studies examining the effects of interviewer support on children’s ability to handle misleading questions have yielded mixed findings (Goodman et al. 1995; Rush et al. 2014), whereas others have failed to find an effect for interviewer support whatsoever (Imhoff and Baker-Ward 1999). Davis and Bottoms (2002) argued that the mixed findings across studies examining the effects of interviewer support on children’s eyewitness memory performance could be explained, at least in part, by variations in the methods used by different investigators. Davis and Bottoms (2002) observed that studies that experimentally manipulated supportive versus non-supportive interviewer behaviors have yielded the clearest findings, demonstrating that children in the high support conditions performed best, particularly when it comes to handling suggestive questions. These researchers pointed out that in most of these experiments, the non-supportive conditions were designed to be relatively cold and intimidating. In contrast, studies that did not find a significant effect of interviewer support either lacked a sufficiently potent experimental manipulation, or determined classifications of high versus low support via post hoc ratings, resulting in the comparison of highly supportive conditions to moderately supportive conditions. Davis and Bottoms also argued that in the experimental studies that employed a sufficiently potent manipulation, the performance differences observed may not have been driven so much by the warm and engaging demeanor provided by the high support interviewers, but rather by the relatively cold and intimidating environment created in the low support conditions. Indeed, this interpretation of the data helps explain some of the discrepancies in effects observed across studies and also accounts for why children often perform poorly under the all too often cold and intimidating conditions encountered when being interviewed by the police (Feld 2014), or when testifying in court (Goodman et al. 1992; Whitcomb et al. 1994). When children feel uncomfortable in a forensic interview, for example, due to insufficient rapport building, they often become less cooperative and therefore less responsive when answering questions (Goldfarb et al. 2019a; Hershkowitz et al. 2006; Orbach et al. 2007). Although several studies have examined the effects of interviewer support on how children handle different types of questions, we could not find any experimental studies that specifically examined how interviewer demeanor might lead to response bias in handling yes/no questions in children suspected of having experienced maltreatment. Developmental researchers have long contended that young children have the tendency to say yes when asked yes/no questions (Peterson et al. 1999). When considering preschoolers as a group, research in this area has yielded mixed results, however, with some studies showing a yes bias among 3- to 4-year olds (Okanda and Itakura 2007, 2008; Peterson et al. 1999), some reporting a no bias (Peterson and Biggs 1997), some showing a bias depending upon the structure of the question asked (Mehrani and Peterson 2016), and others failing to find a bias in either direction (Brady et al. 1999). More recently, some developmental theorists have examined the tendency to display a yes versus no bias in more specific age groups within the preschool period. In this work, 2–3-year olds displayed a yes bias, but not necessarily the 4–5-year olds (Fritzley and Lee 2003; Fritzley et al. 2013). A study on age differences in eyewitness memory, albeit not specifically on yes-no bias, is also relevant. Goodman and Reed (1986) questioned 3- and 6-year olds and adults about a brief interaction with an unfamiliar man. Although the younger children were more suggestible than adults when asked misleading questions, the adults made more errors to the correctly leading questions, producing more omission errors. It was possible that the older participants realized that the interviewer was trying to mislead them and responded by saying “no” to leading questions generally, in effect utilizing a “nay-saying” strategy. These discussions and debates about children’s responses to yes-no questions, their suggestibility, and the questioning required in actual child forensic interviews, have highlighted the need to understand how age and interviewer demeanor combined might affect disadvantaged children’s willingness to agree with the implied suggestions in yes/no questions, leading to a yes bias, or alternatively, to disagree with the interviewer, resulting in a no bias. The importance of the work is amplified when children are actively involved in a child maltreatment investigation. The current study was designed to examine the effect of interviewer demeanor (warm and engaging vs. formal and withdrawn [“neutral”]) on children’s performance when questioned, using free-recall prompts, open-ended questions, and both specific and misleading yes/no questions, about a staged event. This was accomplished by having 3- to 12-year-olds take part in a bean bag game and then interviewing the children 30 min later in either a relatively high or relatively low supportive fashion. This study was unique, as both the game and the interview were conducted in the midst of an ongoing child abuse investigation in which the participants were in-patients at a forensic unit of a hospital for 5 days, not because of illness, but rather to remove them from external influence while the allegations were investigated. Thus, the questioning in this study was conducted in the same context as the forensic interviews designed to assess claims of child maltreatment and with a relevant sample of children. That said, the children’s performance in our study was separate from and did not influence the maltreatment investigation, as explained further below. Based on previous research, it was expected that older children would provide more units of correct information to free-recall prompts and open-questions, and make fewer errors than younger children on both the specific and misleading yes/no questions, regardless of the support conditions. However, it was furthermore predicted that children in the high support condition would outperform those in the low support condition by making fewer commission errors on both the specific and misleading yes/no questions. We also predicted that a low support interviewer demeanor would suppress agreement, at least for the older children. Following this logic, the low support interviewing environment would induce a nay-saying response bias for older children, which would differentially affect commission versus omission errors on the specific and misleading yes/no questions. Specifically, for older children, a no bias would lead to more omission errors but not more commission errors. Finally, it was predicted that the children classified as sexually and/or physically abused would produce fewer errors than the other children tested, as found previously by Eisen et al. (2007) with a similar sample. Participants were 71 children (46 females) ranging in age from 3- to 12-years. Twenty-six of the participants were 3–5-years of age (17 females), and 45 were 6- to 12-years of age (29 females). Sixty-six percent were African American, 8% were non- Latino/a Caucasian, 7% were Latino/a, 2% were not from these groups, and 9.9% were missing data on their racial background. These children were all from urban areas of a large Midwestern city and were predominantly of low socioeconomic status. Participants were referred to a forensic unit that specialized in evaluating allegations of child maltreatment. Referrals originated from the Department of Child and Family Services (DCFS) and other sources, such as primary care providers and school counselors. At the time of admission, 57% of the children were in the custody of DCFS, 28% were in the custody of their biological parent, and 15% were in the custody of a guardian. Consent to participate in the study was obtained either through DCFS, or the parent or guardian. Within age and gender groups, children were randomly assigned to high or low support conditions. Each child’s maltreatment status was determined based on record review, as follows: Prior to the present study, two forensic interviews were conducted as part of the child maltreatment investigation. An interviewer from the States attorney’s office conducted one interview and a clinical psychologist or psychiatrist who worked for the forensic unit conducted the other. Both interviews included questions regarding whether the child disclosed maltreatment or corporal punishment (CP) and, if so, the type of maltreatment (sexual abuse [CSA], physical abuse [CPA], neglect) described and/or if CP had been mentioned. After each interview was completed, the interviewer filled out a form to indicate if the child had disclosed one or more of the above maltreatment types and/or CP. Although the child’s history could not be verified, classification based on disclosure is consistent with prior research methods and representative of actual maltreatment cases where the child’s disclosure is the main or only source of information (Hershkowitz 2009). The memory questionnaire used in this experiment was comparable to those used in previous studies on child eyewitness testimony (Chae et al. 2011; Eisen et al. 2007). This questionnaire consisted of 41 questions regarding the bean bag game. The first part of the questionnaire consisted of instruction and a free-recall question (i.e., We lost the pictures from the video camera and need to know what happened. I want to ask you a few questions about that time. I want you to answer all my questions by telling me the truth. Ok? I wasn’t there so I don’t know what happened. So tell me everything you can remember about it. What happened? ), after which a free recall prompt was provided (i.e., “What else happened?”). The free-recall prompt was followed by 40 questions. Four open-ended questions (e.g., “What was the adult wearing?”) were interspersed through the questionnaire. There were 36 direct questions (20 specific and 16 misleading). The questions were not abuse-related. The study was approved by the Institutional Review Boards of the hospital, DCFS, and the university. Data were collected during the participants’ 5-day inpatient visit, where the children were assessed for potential maltreatment. On the last day of the stay, after the maltreatment assessment was completed, children were invited to play a bean bag game with a research assistant (RA). Contingent on their availability and assent, they were escorted individually to the hallway where the game board was set up. There children were told the rules of the game and were informed that the game would be filmed. Both the participant and the RA threw bean bags through a board decorated with a clown picture. To ensure a success experience, the children always won the game. After playing, participants were escorted back to where they had been prior to the game (e.g., the playing area, their bedroom). Thirty minutes later, an experimenter who was not present during the bean bag game approached each of the children about their willingness to be interviewed. Those who were available and agreed/assented were escorted to an interview room at the unit. This interviewer then questioned the child about the event using either a high support or low support interview technique. The interviewers were doctoral students in clinical or social/developmental psychology, some with PhDs, who were trained to detect children’s distress and to stop the interview if a child became distressed. (All children who were approached agreed/assented, if they were not involved in other required activities, and then completed the study.) Interviewers in the high support condition were warm and encouraging. They were instructed to maintain eye contact, smile, speak in positive tones, and introduce themselves. They leaned forward in their chairs with legs uncrossed and were never more than three feet away from the children. The interviewers initially established rapport with the children and made an effort to be animated with multiple positive facial expressions and positive body language. These interviewers also smiled and fluctuated their voices when speaking with the children. If the children asked or commented on irrelevant information, the interviewer validated the off-topic comments before redirecting. Interviewers in the low support condition were instructed to be kind but also to stare at their clipboard and not make eye contact with the children and did not introduce themselves. They sat approximately 5-feet away from the children, crossed their legs, and leaned back in their chairs. They did not attempt to establish rapport and spoke with a flat, affect-less voice, and looked down at their notes as much as possible to limit eye contact with the children. Low support interviewers also did not smile, stuck to the topic at hand, and, if the children wandered off-topic, did not validate the children’s comments when redirecting them. These methods were also used in prior studies involving interviewer support and children’s memory abilities; in past studies and in the field such low support techniques are often considered to be part of “neutral” interviewing (e.g., Carter et al. 1996; Davis and Bottoms 2002; Quas and Lench 2007). Children were then thanked and debriefed. Aside from the researchers, the forensic investigators and other unit staff were not privy to the children’s responses. Because many interviewers could only partially conform to their assigned support roles (e.g., interviewers had difficulty not smiling at the children and not building rapport), we coded the relative levels of support provided by each interviewer. As the memory interviews had been video-taped, the interviewer support manipulation could be checked by raters. Coders separately rated how relatively supportive the interviewer’s overall demeanor, body position, facial orientation, and tone of voice were on 5-point scales (1 = very supportive to 5 = very unsupportive). The five ratings per participant were dichotomized into two groups (high and low) and divided at the midpoint rating point (3). As in prior research (Davis and Bottoms 2002; Quas et al. 2004; Rush et al. 2014), the mean scores were then categorized into either high interviewer support (1; n = 35), or low interviewer support (0; n = 36). Thus, participants whose mean ratings fell between 1 and 3 in the support scale were classified into the high interviewer support group, and those falling between 4 and 5 were classified into the low interviewer support group. This cut-off also corresponded to the mean of the raw interviewer demeanor scores (M = 3.14, SD = 1.46). Abuse disclosure status could be evaluated for 50 of the children. Using the same classifications as in Eisen et al.’s (2007) study, children who disclosed sexual abuse were classified into the CSA group (n = 12). Those who did not disclose CSA but did disclose physical abuse were classified into the CPA group (n = 16). Children were classified into the neglect group (n = 3) if they disclosed neglect but did not disclose CSA and/or CPA. Children were classified into the CP group (n = 13) if they disclosed CP but had not disclosed any type of legally defined maltreatment (i.e., CSA, CPA, or neglect). The at-risk group (n = 6) consisted of the children who did not disclose any maltreatment or CP. An abuse disclosure status variable was created on the basis that CSA and CPA are acts of commission (scored as 1), compared to that of neglect, which is typically considered an act of omission. As corporal punishment (CP) was technically not a form of abuse in the early 1990’s, when this study was carried out, and the suspicions of maltreatment for the at-risk group could not be confirmed, the neglect, CP, and at-risk groups were combined (scored as 0), consistent with categorization used in the Eisen et al. (2007) study. Responses to the free-recall prompts and open-ended questions were coded as units of correct or incorrect information. Each word or phrase providing new information about the bean bag game was counted as one unit if singular and two if plural. For example, “I threw bean bags through the hole” was counted as I (1), threw (1), bean bags (2), through (1), the hole (1). Repetitions and unverifiable information were not counted as units but coded as unscorable. Responses to the free-recall question and prompt were tallied to obtain two total unit scores (total correct and total incorrect). For the open-ended questions, responses were similarly tallied, but these total units were then divided by the total number of open-ended questions asked each child (4) to obtain a mean number of correct or incorrect units. To ensure reliability, two raters blind to the conditions coded 20% of the interviews and obtained a total proportion agreement (.91), which indicated high reliability. The correct answer was “yes” for 7 and “no” for 6 of the 20 specific questions. The remaining 7 specific questions did not require a yes or no answer. Regarding the 16 misleading questions, for 6 questions, the correct answer was “yes,” and for 10 questions, the correct answer was “no.” Hence the questions for which a correct answer was “yes” are referred to as correct-yes questions, whereas the questions for which a correct answer was “no” are referred to as correct-no questions. Incorrect responses to correct-yes questions indicated that the child falsely denied that some factual aspect of their experience was true and were thus scored as omission errors. For example, if the direct question asked, “Did you throw the bag through the hole?”, and this action did in fact occur, failing to agree that this happened would constitute an omission error, because the child denied that something true actually occurred. For misleading correct-yes questions, an example of an omission error is the participant responding “no” to the question, “You didn’t throw bean bags through a picture of a clown on a board did you?” when in fact, participants had done so. Incorrect responses to correct-no questions indicated that the child falsely agreed with the interviewer that some aspect of their experience was true, when in reality it was not, and were thus scored as commission errors. For example, if the child was asked the specific question, “Did she touch your leg?”, when in reality the participant’s leg was not touched, the correct answer would be no. If instead the child agreed, that response would constitute a commission error. For misleading questions, the same principle applied. For example, a “yes” response to the misleading question, “When you were playing that game, wasn’t it neat to see those pictures all over the floor, the ones that other kids drew. You saw that, didn’t you?” when in fact, there were no pictures on the floor. For the specific questions, proportion error scores were calculated by dividing the total number of errors to each response type (e.g., correct-yes questions, correct-no questions) by the total number of specific questions asked per child. Similarly, for the misleading questions, proportion error scores were calculated by dividing the total number of errors to each response type (e.g., correct-yes questions, correct-no questions) by the total number of misleading questions asked per child. For questions that could not be accurately answered with a yes or no, proportion error scores were similarly created. The participants were initially divided into three groups; preschool children (3- to 5-year olds, n = 26), younger school-aged children (6- to 8-year olds, n = 26), and older school-aged children, (9- to 12-year olds, n = 19). However, splitting the sample by age and interviewer support group resulted in small cell sizes for the older school-aged group. Preliminary t-tests showed that the 9- to 12-year old group’s performance did not significantly differ from that of the 6- to 8-year old group on any of the outcome measures examined in the analyses (correct or incorrect units on free recall and open-ended questions, and errors on specific and misleading questions). Thus, the two older school-age groups were combined resulting in a two-way comparison of preschool versus school-aged children for all analyses. A preliminary examination of the distribution of errors on the dependent variables revealed that skew exceeded acceptable standards for proportion errors on misleading correct-no questions (skew = 2.04, SE = .29) and specific correct-no questions (skew = 2.09, SE = .29). Further examination of skew at each level of the independent variables examined in the design (e.g., for high and/or low support for the older and/or younger children) revealed unacceptable skew at one or more levels for proportion errors on specific correct-yes questions, specific questions that did not require a yes or no answer, and misleading correct-yes questions. A log-10 transformation was used to transform each of these dependent variables. Since each variable had some zero values, a constant score of .1 was also added to all of the scores in the distribution as part of this transformation. All analyses for errors on direct questions were conducted with and without the transformations. The transformations did not result in any significant changes in the findings. Only the results of analyses with the transformed data are reported below. However, all means and confidence intervals are reported for raw untransformed data. We first ran preliminary analyses to determine whether the two interviewer support conditions varied as to any key predictors or other demographics. Chi-square analyses revealed that the children in the high and low interviewer support conditions did not significantly differ as to their gender, race, custodial status, or abuse disclosure status, X2s (1, Ns = 64-71) < 3.16, ps> 0.098, as would be expected given random assignment to groups. A one-way ANOVA, with experimental group (high vs. low interviewer support) as a between-subject variable showed that there were no significant differences among participants as to their age (p = .124; high interviewer support: M = 6.20, CI [5.32, 7.08]; low interviewer support: M = 7.17, CI [6.30, 8.04]). We next conducted analyses to determine whether other (theorized and non-theorized) predictors were related to the dependent variables. Correlations indicated that neither gender (with our without age partialled), rs(70) ≤ |.14|, ps ≥ .25, nor abuse disclosure status was significantly correlated with the memory or suggestibility variables, rs(66) ≤ -.21 ps ≥ .10. Gender and abuse disclosure status were thus not included in the main analyses discussed below.For the main analyses, a series of separate 2 (age group) X 2 (interviewer support) between-subject ANOVAs (i.e., for free recall and open-ended questions) and MANOVAs (e.g., for direct questions) was conducted. All significant effects are reported. Means and standard deviations for free recall and open-ended responses are shown on Table 1. The ANOVA on the number of correct units provided in response to the free-recall question produced a significant age main effect, F(1, 71) = 7.62, p = 01, ηp2 = .10; the older compared to younger children provided more units of correct information. The main effect of interviewer support, F(1, 71) = .36, p = .55, ηp2 = .005, and the Age X Interviewer Support interaction, F(1, 71) = .20, p = .66, ηp2 = .003, were not significant. There were no significant main effects or interactions for free-recall errors, Fs(1, 71) < 3.12, ps < .08, ηp2 < .04. A second 2 (age group) × 2 (interviewer support) ANOVA was conducted with mean correct units of information to the open-ended questions as the dependent variable. Older children provided significantly more units of correct information to open-ended questions, F(1, 71) = 40.62, p < .001, ηp2 = .38, but there was no significant main effect for interviewer support, F(1, 71) = .32, p = .57, ηp2 = .01. Also, a significant interaction between age and interviewer support failed to emerge, F(1, 69) = .83, p = .36, ηp2 = .01. These analyses were repeated with mean error units on open-ended questions as the dependent variable, and again, there were no significant main effects of age, F(1, 71) = 2.70, p = .11, ηp2 = .04, or interviewer support, F(1, 71) = .50, p = .48, ηp2 < .01, and no interaction was evident, F(1, 71) = .16, p = .69, ηp2 < .01 (Table 2). Proportion scores for correct and incorrect responses to specific questions were computed. Separate proportion scores were calculated for errors on correct-yes questions (i.e., omission errors), correct-no questions (i.e., commission errors), and errors on those questions that did not require a yes or no response (Table 2). Given that all three dependent measures are indices of memory performance, a 2 (age group) × 2 (interviewer support) MANOVA was conducted to examine the relative effects of age and interviewer support on errors on these three different types of specific questions. The results revealed a significant multivariate main effect for age, Pillai’s Trace = .37, F(3, 65) = 12.57, p < .001, and a trend for interviewer support, Pillai’s Trace = .09, F(3, 65) = 2.23, p = .09. A significant multivariate interaction between age and interviewer support emerged, Pillai’s Trace = .19, F(3, 65) = 5.03, p = .003. Univariate ANOVAs and simple-effect analyses were therefore conducted and are reported next. The ANOVA examining omission errors on correct-yes questions failed to reveal significant main effects for age, F(1, 71) = .25, p < .62, ηp2 < .01, or interviewer support, F(1, 71) = .74, p = .39, ηp2 = .01. However, there was a significant Age x Interviewer Support interaction, F(1, 71) = 6.67, p = .01, ηp2 = .09. Simple effect analyses revealed that the effect for interviewer support within the older children was moderately large in terms of effect size (Cohen’s d = .59), but this difference nevertheless did not reach traditional levels of statistical significance, F(1, 44) = 3.23, p = .07. However, given our prediction, it is of interest that the effect of interviewer support for the older children was significant with a one tailed test, p < .05: Older children in the low (compared to high) interviewer support condition made more omission errors. Simple effect analyses showed that the effect for interviewer support among preschoolers was not statistically significant, F(1, 25) = .11. The univariate ANOVA examining commission errors on specific correct-no questions revealed a significant main effect for age: the younger children made significantly more commission errors, M = .08, 95% CI [.06, .10], than their older counterparts, M = .01, 95% CI [−.01, .02], F(1, 71) = 29.06, p < .001, ηp2 = .31. In addition, a significant main effect for interviewer support emerged, as participants in the high (compared to low) support condition were significantly more likely to make commission errors on correct-no questions, M = .04, 95% CI [.02, .07], than those in the low support condition, M = .02, 95% CI [−.00, .04], F(1, 71) = 4.30, p = .04, ηp2 = .06. However, the Age x Interviewer Support interaction was not significant, F(1, 71) = 3.39, p = .07, ηp2 = .05. Indeed, the very low commission error rates for the school-aged group indicate floor effects that affect our ability to detect difference across support conditions. The ANOVA for the non-yes/no direct questions indicated that younger children made significantly more errors, M = .06, 95% CI [.04, .08] than their older counterparts, M = .03, 95% CI [.01, .04], F(1, 71) = 7.40, p = .01, ηp2 = .10. However, no significant difference in errors emerged for participants in the high support condition, M = .04, 95% CI [.03, .06], versus the low support condition, M = .04, 95% CI [.02, .05], F(1, 71) = .25, p = .62, ηp2 < .001. Also, there was no significant interaction between age and interviewer support, F(1, 71) = .27, p = .61, ηp2 < .01. Separate proportion scores were calculated for errors on misleading correct-yes questions (i.e., omission errors) and misleading no-questions (i.e., commission errors). A 2 (age group) × 2 (interviewer support) MANOVA examined the relative effects of age and interviewer support on both commission and omission errors to misleading questions. There was a significant multivariate age main effect, Pillai’s Trace = .35, F(2, 66) = 18.06, p < .001. Multivariate tests also showed a significant main effect for interviewer support, Pillai’s Trace = .13, F(2, 66) = 5.10, p = .01. However, these main effects were qualified by a significant multivariate interaction of age and interviewer support, Pillai’s Trace = .11, F(2, 66) = 4.02, p = .02. These significant multivariate effects were then further examined per dependent variable in univariate ANOVAs and simple effect analyses. The univariate ANOVA examining omission errors on misleading correct-yes questions revealed a significant age main effect, as the younger children made significantly more omission errors, M = .12, 95% CI [.09, .14], than the older children, M = .05, 95% CI [.04, .07], F(1, 71) = 15.33, p < .001, ηp2 = .19. However, no significant main effect of interviewer support was evident, as children in the high interviewer support group, M = .09, 95% CI [.06, .11], had nearly identical error rates as their counterparts in the low interviewer support group, M = .07, 95% CI [.05, .09], F(1, 71) = 1.53, p = .22, ηp2 = .02. Also, there was no significant interaction between age and interviewer support, F(1, 71) = 2.42, p = .13, ηp2 = .04. The univariate ANOVA examining commission errors on misleading correct-no questions revealed a significant main effect for age, as the younger children made substantially more commission errors, M = .20, 95% CI [.15, .23], than the older group, M = .04, 95% CI [−.00, .07], F(1, 71) = 30.06, p < .001, ηp2 = .31. Also, a significant main effect for interviewer support emerged, as children in the high interviewer support group made significantly more commission errors, M = .13, 95% CI [.09, .18], than those in the low interviewer support condition, M = .06, 95% CI [.01, .10], F(1, 71) = 10.17, p = .002, ηp2 = .13. However, these main effects were qualified by a significant Age x Interviewer Support interaction, F(1, 71) = 7.41, p = .01, ηp2 = .10. Simple effect analyses revealed that younger children in the high support condition made significantly more commission errors on the correct-no questions, M = .27, 95% CI [.17, .37], than those in the low support group, M = .11, 95% CI [−.005, .22], F(1, 25) = 5.44, p = .03, d = .89. The elevated commission error rate in the high support group appeared to be driven by a small group of 3- and 4-year-olds who had particular problems with the correct-no questions. Specifically, five 3- to 4-year-olds made errors on at least 33% of the misleading correct-no questions. By comparison, only one preschooler in the low support group made errors on 33% or more of the correct-no questions. For the older children, no significant difference in commission errors were found between those in the high support condition, M = .04, 95% CI [−.01, .08], compared to the low support condition, M = .03, 95% CI [−.01, .05], F(1, 44) = .52, p = .48, d = .16. Again, the very low commission error rate for the older group across support conditions reflects a floor effect that limited our ability to detect interviewer support effects for this type of error among the school-aged children. When children are interviewed in the forensic context about suspicions of child maltreatment, their personal security is at stake if they misreport their experiences. If, for example, the children omit telling the interviewer about experiences of abuse or neglect, the children might be returned to a dangerous situation, affecting their psychological and physical safety. Alternatively, if the children err by agreeing with false suggestions, they might be removed from home unnecessarily and an innocent caretaker could be falsely accused, which would also have serious implications for the children’s psychological and physical well-being. Thus, interviewing children in ways that reduce report error can be crucial for their personal security. Our goal was to investigate the effects of a forensically important factor, namely interviewer support, on the accuracy of maltreated and at risk children’s (3- to 5-year olds and 6- to 12-year olds’) memory and suggestibility for a staged innocuous event. Although the findings are in need of replication, the study provides important new information. 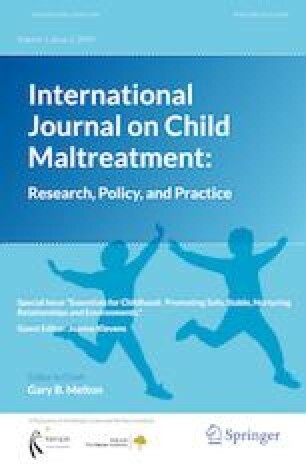 First, it is the only study we know of to date to examine the effects of interviewer support on the accuracy of children who have been indicated for maltreatment, yet those are the children to whom many study findings are meant to generalize and whose voice professionals seek to understand. Second, the finding that the older children seemingly developed a “no” response bias to specific questions when interviewed by the less supportive interviewer is important for evaluating children’s reports and actual forensic practice. This finding argues for interviewers to maintain warmth and support when interviewing elementary school children. Third, the finding that interviewer support led to greater suggestibility in a subset of the preschoolers is vital new information. It highlights the need to develop techniques to ensure accuracy and protection of some of the youngest victims while also studying how to identify and adequately respond to such children. We discuss our findings, their implications, and several caveats in greater detail next. As expected, when considering accuracy and errors on free recall, open-ended, and direct questions, typical age effects emerged, with the school-aged children providing correct answers more often than the preschool children. However, closer examination of the data showed that when considering the yes/no questions, age effects varied depending on the interviewer support condition and the type of question asked. Although when considering specific questions as a whole, the 6- to 12-year olds made fewer errors than the 3- to 5-year olds, a more nuanced picture emerged when considering errors on correct-yes-questions and correct-no-questions separately. For specific correct-yes questions, a significant interaction between age and interviewer support emerged, as interviewer support differentially affected the older and younger children. Specifically, the older children made more omission errors in the low support condition compared to the high support condition. This created a situation in which the 6- to 12-year olds in the low support group made somewhat more errors on the specific correct-yes questions than the 3- to 5-year olds in the same condition. This trend is notable, as this represents a relatively rare instance in which school-aged children actually made (somewhat) more errors than preschoolers (Otgaar et al. 2018). This pattern of results suggests that when considering the older children, the low support condition may have actually suppressed agreement with the interviewer, leading to a nay-saying response bias. In essence, when faced with a formal and withdrawn interviewer, the older children tended to respond to straightforward correct-yes questions by saying “no,” and in doing so, they incorrectly denied that some factual features of their experience were true. The older children likely had clearer expectations than the preschoolers for the adults questioning them to evidence prosocial behaviors. They may have taken offense at the interviewer’s withdrawn approach. As expected, the preschool children made significantly more commission errors than the school-aged children on specific correct-no questions. These preschool children in the high support condition were more likely to commit commission errors on correct-no questions by falsely agreeing with the interviewer that some feature of their experience was true, when in reality it was not. Previous research has shown that young children are more predisposed to say yes to yes/no questions (Peterson et al. 1999). In the current study, regardless of the support condition, the 3- to 5-year olds were indeed more likely than their older counterparts to make commission errors by saying yes to questions for which no was the correct response. It is possible that the high support condition simply enhanced this yes-bias, resulting in significantly more commission errors for young children. Alternatively, it is also possible that the group differences were driven by the detached demeanor of the low support interviewer, which may have suppressed interviewer agreement in that condition. As commission errors involve saying yes to no-questions, if children were more prone to say no when interviewed in a cold and unsupportive manner, this would logically result in suppressed rates of commission errors, and possibly even drive up omission errors. When considering errors on misleading correct-yes questions, typical age effects emerged, as the younger children made substantially more omission errors than the older group. However, in contrast to the pattern of findings revealed when examining commission errors to misleading questions, no significant effect for interviewer support was evident for preschoolers or school-aged children on omission errors, and no significant Age x Interviewer support interaction was found. When considering commission errors on misleading correct-no questions, the pattern of results was similar to what was observed for the specific questions: Preschoolers in the high support condition were more likely to make commission errors by agreeing with the false premise of misleading suggestions that something occurred that was in fact not true. Also, as observed with the non-misleading questions, this effect was restricted to the preschoolers. Indeed, older children made very few commission errors in the high and low support conditions, showing that the questions were not particularly difficult to answer for them from a memory perspective. The increase in commission errors among preschoolers in the high support group appeared to be driven by a small group of 3- and 4-year-olds who made errors on at least 33% of the misleading questions correct-no questions. In contrast, only one 3-year old in the low support group made errors on at least 33% of the correct-no questions, and commission errors for the older children were quite rare. Poole et al. (2014) observed that a minority of young children are particularly prone to make errors when questioned about experienced events. Poole and her colleagues coined the term exuberant false reporters to describe these children who find it especially difficult to use recently acquired memories to guide their behavior. These theorists note that the exuberant false reporters are not simply inattentive, but rather have a tendency to confabulate. The fact that only one young child in the low support condition exhibited a high commission error rate on the misleading questions shows that in this instance, exuberant false reporting appeared to be greatest when the interviewer was highly supportive. Also, in this study, the exuberant false reporters did not make errors on all types of misleading questions. Rather, the most error prone young children in the high support conditions were only more likely to make commission errors by saying yes to misleading no-questions. Poole et al. (2014) observed that exuberant false reporters were generally the youngest children and were predominantly boys. In the present sample, the young children who exhibited high levels of commission errors were all between 3-years, 6-months and 4-years, 11-months of age, and were mostly girls. However, the gender imbalance in commission errors may be related to the fact that there were almost twice as many girls than boys in the 3- to 5-year-old age group. Is it the Cold and Reserved Condition that Is Driving Group Differences? For proper interpretation of our data, an important question concerns whether the high support condition exacerbated a yes bias among the subset of preschoolers who made the most commission errors, or whether the differences were driven by suppressed interviewer agreement in the low support condition. As noted earlier, Davis and Bottoms (2002) speculated that in previous studies in which researchers experimentally manipulated interviewer support, the observed differences may have been driven primarily by the demeanor of the low support interviewers, rather than the warm and engaging high support interviewers. The data from the present study are consistent with this hypothesis and suggest that not making eye contact, not smiling, and speaking in cold tones, may have suppressed older children’s agreement with the interviewer and provoked a negative response bias in the older children. This explanation might also help explain why there was no effect for support when considering the free-recall, open-ended questions, and direct questions that did not require a yes/no answer, as the nay-saying response bias induced by the low support condition may only have been evident when considering responses to yes/no questions, which are logically more useful in detecting response bias. It is worth noting that the interviews were conducted in the context of a 5-days hospital stay during which children were questioned frequently by staff, who were all trained to be warm, engaging, and supportive. Indeed, in this context, the cold and reserved behavior of the low support interviewers was likely magnified, as it was obviously inconsistent with the approach of the child-friendly staff at the facility. According to this interpretation of the data, since most child interviewers in research studies are trained to be warm and supportive of children, the high support condition in the present research is likely to be quite similar to how interviewers would behave during a typical research interview of children, independent of experimental support manipulations. If this is true, performance in the high support conditions should logically be similar to how children would perform in normal research interviewing conditions. Some support for this position was secured by comparing the data from the current study to the results reported by Chae et al. (2011), who recruited children from the same milieu as the current study and who tested their memory for the bean bag game as well. Indeed, the main difference between this study and the procedures used by Chae et al. (2011) is that the latter did not manipulate interviewer demeanor, and the retention interval was shorter in the current study. Thus, the interviewers in the Chae et al. study were likely uniformly positive in their interactions with the children, mainly because the professional conduct of research assistants interacting with a vulnerable population dictated such behavior. A cursory comparison of the results from Table 2 of the current study to the results reported by Chae et al. (2011; Table 4, pp. 532), showed that error rates for the 3- to 5-year olds in the high support group of the current study were remarkably similar to those reported by Chae and her colleagues when considering commission and omission errors for both misleading and non-misleading questions. The remarkable consistency in performance across the two studies is somewhat surprising considering that the retention interval differed so greatly (30 min in the current study vs. 2–3 days in the Chae et al. study). This consistent pattern of performance across the two studies suggests that the event was generally well remembered by the children, and that children’s memory for the details of the experience did not fade much over the longer retention interval used by Chae and her colleagues. This comparison provides further support for the notion that the group differences in the current study were driven by the children’s response to the cold, unsupportive interviewer in the low support condition. Free-Recall and Open-Ended Questions: Does Interviewer Support Make a Difference? As noted earlier, no significant effect for interviewer support was revealed when considering accuracy and/or errors on free recall and open-ended questions. Although most experimental studies have failed to find that interviewer support affects free-recall (Carter et al. 1996; Davis and Bottoms 2002; Quas et al. 2004, 2005; Quas and Lench 2007), there is reason to believe that highly supportive techniques can have beneficial effects on children’s performance when interviewed using non-suggestive prompts. For example, Hershkowitz (2011) examined 71 actual forensic interviews of children and found that interviewers who spent more time on highly supportive rapport-building behaviors yielded more information from the children. Moreover, experimental studies that used relatively long retention intervals (a month or more) did in fact find a positive effect for increased interviewer support on free-recall performance (e.g., Goodman et al. 1991). Of course, there has rarely been any real debate about whether interviewers should be more or less supportive of children during forensic interviews when using free-recall prompts and open-ended questions to elicit disclosures of abuse. Rather, concerns about the effects of interviewer support have been tied primarily to how children perform when they are asked suggestive yes/no questions. Several caveats regarding our study are important to note. The sample size in this study was rather modest, and it was not feasible to examine developmental differences across more specific age groups within the broader developmental periods included. Also, the majority of the participants in this study were African-American children from impoverished communities in a large Midwestern urban area, and all of the children came from environments in which abuse and neglect were strongly suspected. It is possible that children from this background may have been particularly sensitive to the interviewers’ demeanor. It will be important to determine if our results generalize to more diverse samples of children who may vary more in regard to socioeconomic status, geographic locations, and different backgrounds when it comes to a history of maltreatment. Although all participants in this sample were present in the child abuse unit for having been exposed to or witnessed abuse and/or neglect, or were at risk of having experienced maltreatment, disclosure of abuse is only one measure of maltreatment history. Error in classification may have contributed to a lack of significant differences across our abuse disclosure classification. Furthermore, the lack of relation between abuse disclosure status and memory may be due to a lack of variability between participants, such that all children had likely experienced or witnessed some form of trauma or violence based on where they lived. Also, in regard to commission errors made on both specific and misleading correct-no questions, the low error rates for the older group suggest floor effects that limited our ability to detect potential interviewer support influences for the school-aged children. Finally, our findings on interviewer support are limited to memory and suggestibility; our study does not consider other non-cognitive effects experienced when adult interviewers are nice to children. This study holds important implications for practice, future research, and research ethics, especially when suspicions of child maltreatment are present. We address these next. Although the findings from our study require replication, the implications for child forensic interviewing are worth mentioning. First, the results imply that high (vs. low) interviewer support can help avoid a “nay saying” response bias in low income children of elementary-school age who are involved in child maltreatment investigations. Forensic interviewers face the difficult and complex task of quickly building and maintaining rapport with children and seeking legally relevant information, such as detailed disclosures of traumatic events, without resulting in legal challenge by, for example, the challenge that the interviewer lead the child witness to provide false information. In reaction to defense challenges about leading questions given children’s presumed suggestibility, some child forensic interviewers may present by being what the interviewer believes is “neutral” but what children view as formal, cold, stern and/or withdrawn. Although in our study, the low support interviewers were still friendly to the children, especially before and after the interview, the interviewers’ “neutral” style still had an adverse effect on the elementary-school age children’s accuracy. False information includes not only commission errors but also omission errors about what actually occurred. An implication of our study is thus that child forensic interviewers should show high support, as defined in our study, when interviewing disadvantaged elementary-school aged children. Note that such support did not include reinforcing specific answers but was rather a more general “child friendly” demeanor. That said, our findings also imply that high interviewer support can lead to increased commission errors in a subset of younger children involved in child maltreatment investigations. These results in particular need replication, especially in light of contrary findings (Goodman et al. 1991). If our results replicate with a comparable sample, identifying who among younger children are adversely affected by high interviewer support will be important. It may be, for example, that young children with poor inhibition and underdeveloped executive functions need special instructions and practice with the task when interviewed about experienced events (Poole et al. 2014). Additional research on interviewer support is needed. In the future, researchers could address effects of varied interviewer support on false memory of entire events that were never experienced. In real child forensic interviews, it would be unusual for children to be interviewed about events that were not personally significant, were not taboo, and/or were not traumatic ones, and were unrelated to the maltreatment allegations. The game was an innocuous experience rather than a salient personally significant, taboo, or traumatic event. The latter such events may be remembered with greater accuracy than the likely less memorable bean bag game (Goodman et al. 2016). Furthermore, a longer delay before the interview would be expected to degrade memory for the inconsequential event studied here, perhaps leading to greater memory error and suggestibility in relation to interviewer support, a topic worthy of future research, although for highly consequential, embarrassing, and significant events, children can remember them even after long delays (Goldfarb et al. 2019b). It is not often that researchers have the opportunity to conduct a scientific study on children’s memory and suggestibility in the course of a child maltreatment investigation. Our study thus provides valuable and unique information, but it also raises issues of the ethics of research that seeks to manipulate interviewer support for children who had been living in adverse conditions (e.g., poverty, discrimination, maltreating caretakers who themselves may have experienced childhood trauma), removed from home, and engulfed in maltreatment investigations. For example, for child trauma victims is it ethical to interview them without interviewer support? A supportive interviewer is likely the norm in psychological research. Using our study as an example, we recommend that future researchers interested in interviewer support take the following steps: In our research, the interview was relatively brief and the children received considerable warmth before and after it. Games were also rigged to ensure that the children won, and the children were congratulated for their success. Moreover, the children did not receive negative comments about their performance, and we made considerable efforts to ensure that the lack of interviewer support was not too severe. We also ensured that the findings would have no effect on the investigations (e.g., the unit’s staff members were not privy to the children’s memory accuracy scores). In studies such as ours, debriefing is essential so that the children can understand that the interviewer’s stance was pretend and that the children did a fine job, including in helping us understand children’s needs. In the current study, the formal and withdrawn low supportive interviewing condition appeared to have induced a nay-saying response bias which entirely eliminated the expected age advantage for older children’s performance on specific correct-yes questions. Indeed, although the younger children made predictably more errors than their older counterparts in most areas, when considering omission errors on specific correct-yes-questions, the 6- to 12-year olds in the low support condition actually made somewhat more errors than the 3- to 5-year olds. This trend in the data is notable, as it appears the factors present in the low support condition were potent enough to reverse commonly observed age effects for the specific correct-yes questions. Additional research is needed to understand how different types of situational factors might affect children’s responding when asked various types of questions, and how these effects may differ across age groups. These findings have potentially important implications for forensic interviews, and suggest that a cold, intimidating environment could suppress child agreement which may adversely affect children’s willingness to disclose sensitive details about their lives. These data suggest that cold, unresponsive interviewing could result in more omission errors (e.g., in elementary-school aged children) and consequently fewer disclosures in actual cases. Our data also support the hypothesis set forth by Davis and Bottoms (2002), who proposed that group differences observed in experimental studies that have manipulated interviewer support are likely driven by interviews that were formal and intimidating rather than warm and engaged. In addition, the finding of a higher commission error rate for a subset of preschool children from disadvantaged backgrounds under the high support condition is of considerable interest for child forensic interviewing. If this finding is replicable, it suggests the need to determine best practices for such children. It has been particularly difficult to develop scientifically based methods to assure accuracy in young preschool children (e.g., 3-year-olds), but identifying the subset of children most susceptible to error in different interview contexts could provide important insights into methods to ensure the accuracy of these young children’s reports. This research was funded by a grant to Mitchell L. Eisen and Gail S. Goodman from the National Center on Child Abuse and Neglect, Administration for Children and Families, U.S. Department of Public Health. Eysenck, M. W., & Calvo, M. . G. (1992). Anxiety and performance: The processing efficiency theory. Cognition and Emotion, 6, 409–434. https://doi.org/10.1080/02699939208409696. Garven, S., Wood, J. M., Malpass, R. S., & Shaw, J. S., III. (1998). More than suggestion: The effect of interviewing techniques from the McMartin preschool case. Journal of Applied Psychology, 83, 347–359. https://doi.org/10.1037/0021-9010.83.3.347. Goodman, G. S., Taub, E. P., Jones, D. P., England, P., Port, L. K., Rudy, L., & Prado, L. (1992). Testifying in criminal court: Emotional effects on child sexual assault victims. Monographs of the Society for Research in Child Development, i–159. https://doi.org/10.2307/1166127. Karmi-Visel, Y., Hershkowitz, I., Lamb, M. E., & Blasbalg, U. (in press). Facilitating the expression of emotions by alleged victims of child abuse during investigative interviews using the revised NICHD protocol. Child Maltreatment. https://doi.org/10.17863/CAM.36470. Lamb, M. E., Orbach, Y., Hershkowitz, I., Esplin, P. W., & Horowitz, D. (2007). A structured forensic interview protocol improves the quality and informativeness of investigative interviews with children: A review of research using the NICHD investigative interview protocol. Child Abuse & Neglect, 31(11), 1,201–1,231. https://doi.org/10.1016/j.chiabu.2007.03.021. Saywitz, K. J., Wells, C. R., Larson, R. P., & Hobbs, S. D. (2019). Effects of interviewer support on children’s memory and suggestibility: Systematic review and meta-analyses of experimental research. Trauma, Violence, & Abuse, 20, 22–39 https://doi.org/10.1177/1524838016683457.